Marion County Superior Court Judge James Osborn will speak at the University of Indianapolis as a featured guest of the Pre-Law Student Association (PLSA) Judicial Lecture Series, 7 p.m., April 9, 2019, in UIndy Hall C in the Schwitzer Student Center. L/P credit is available and registration is encouraged. Judge Osborn’s professional experiences have lent him extensive knowledge about the jury trial process. He has served on the Marion County Superior Court for over ten years. 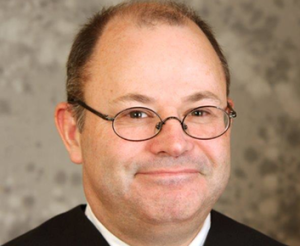 During this time, he has sat for many years on the Judicial Conference of Indiana Jury Committee and currently serves as the Judicial Supervisor of the Court’s Jury Services Department. Prior to joining the bench, Judge Osborn served as a prosecutor and public defender in Marion County as well as worked in the Indiana Office of Attorney General. The PLSA Judicial Lecture Series benefits students interested in law and government and offers the University community a venue to learn more about Indiana state government. David Root, assistant professor of political science and pre-law advisor, said hearing from judges brings the law to life for students so that they can understand the workings of the real world. “Additionally, because judges handle so many different kinds of cases on the bench, they refer to a wide range of situations as they explain what they do. In this respect, I’m excited for students to hear some of the factual scenarios Judge Osborn has encountered as he describes his expertise of the jury trial process,” Root said. Previous speakers in the PLSA Judicial Lecture Series include Indiana Supreme Court Chief Justice Loretta Rush, who provided the inaugural lecture in 2018, and Pulaski County Circuit Court Judge Michael Shurn ’71. Topics included the important role that University of Indianapolis students will play in shaping Indiana’s future in the coming years, in particular those looking to enter the legal field. INDIANAPOLIS—As the nation observes National Public Health Week during the first week of April, the University of Indianapolis will host the inaugural Public Health Day Expo and Celebration on Friday, April 5, 2019, featuring a public health fair and discussions with thought leaders from the public health sector. Dr. Judith Monroe, president and CEO of the CDC Foundation, and Dr. Kristina Box, Indiana State Health Commissioner, will provide remarks and participate in question-and-answer sessions. The event will be held from 9:00 a.m. to noon in the main lobby and the R.B. Annis Theatre, Room 138, of the Health Pavilion at 1643 Hanna Ave., University of Indianapolis. The event is free of charge and registration is encouraged. Organizing the event is Dr. Heidi Hancher-Rauch, associate professor and director of the Public Health Program. She said the theme of the discussions will focus on the collective impact of partnerships to reduce health inequities. “One of the great things about public health, but also one of the biggest challenges is that public health specialists are working under so many different job titles and for so many different organizations. If we work in our silos as professionals, we miss out on the types of community collaborations that could help move us forward in addressing health equity and other health needs,” Hancher-Rauch said. As leader of the CDC Foundation, Dr. Monroe works with philanthropic organizations, private entities and individuals to help CDC have greater impact protecting the health, safety and security of America and the world. Her lecture, “Improving health equity through public-private partnerships,” will explain the importance of those partnerships and how to achieve collective impact. 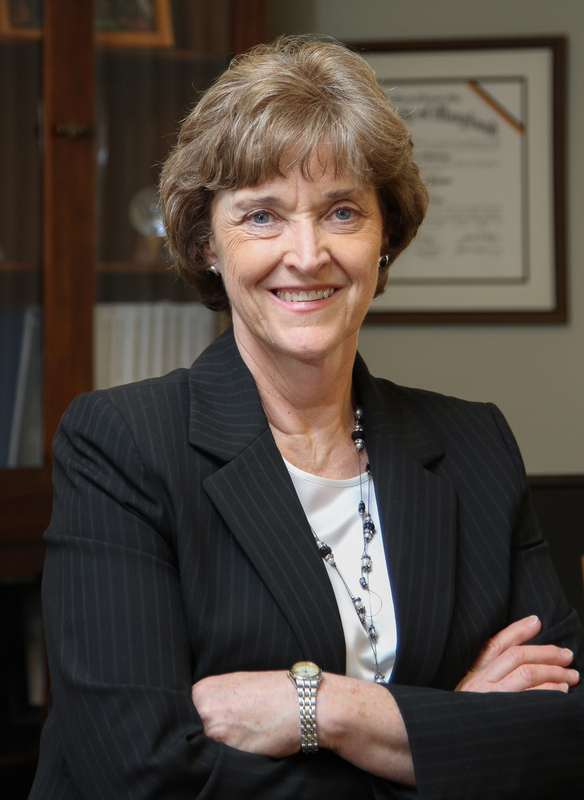 Dr. Monroe, who served as Indiana State Health Commissioner from 2005 to 2010, will also discuss health equity and health disparities especially in Indiana and touch on the importance of workforce development. Another theme that speakers will explore is that health is not just an individual issue, but a community issue. Through programs such as the 500 Cities project, a first-of-its-kind health data analysis, the CDC Foundation works with the CDC and the Robert Wood Johnson Foundation to determine estimates for chronic disease risk factors. That type of data allows cities and health departments to understand the healthcare needs of the population. Making the most out of collaborative initiatives is a key goal for Dr. Kristina Box, who has served in her role as Indiana State Health Commissioner since 2017. 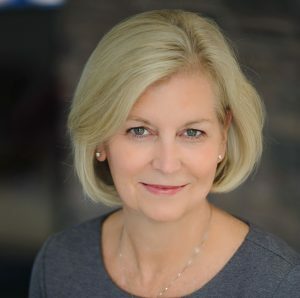 Her work includes building the first multi-disciplinary women’s center in the Community Health Network and developing critical partnerships with area children’s hospitals to improve care and decrease health care costs. “Indiana faces a number of pressing health challenges, such as the opioid epidemic, infant mortality, tobacco use and obesity. No one entity can solve these problems alone, but by working together at the state, federal and local level, we can improve outcomes and achieve better physical, mental and financial health for our entire state,” said Dr. Box. Learn more about the Public Health Day Expo and Celebration. A small group of men and women were tasked with saving precious works of art from certain destruction in the waning months of the Second World War. 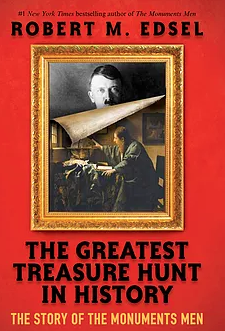 By 1951, they had located and returned more than 4 million cultural objects stolen by Hitler and the Nazis. Their story had nearly been forgotten when it caught the attention of author and researcher Robert Edsel more than twenty years ago. After the publication of four books and a Hollywood film adaptation starring George Clooney, Edsel continues to tell the story of “The Monuments Men,” and their painstaking and dangerous work to preserve thousands of years of culture. He will discuss their efforts, as well the work to document and recover lost works of art through the organization he founded in 2007, Monuments Men Foundation for the Preservation of Art, during a 7:30 p.m. lecture, Thursday, March 28, 2019, at the Ruth Lilly Performance Hall in the Christel DeHaan Fine Arts Center, University of Indianapolis. Admission is free of charge and registration is encouraged. The lecture, titled, “The Monuments Men: Anthropological Heroes, Nazi Thieves, and the Greatest Treasure Hunt in History,” describes the race against time as a special force of museum curators, art historians and architects from fourteen countries scoured Europe looking for works of art that Nazi forces had confiscated from private citizens and museums. One of Edsel’s goals is to expand awareness of “who the Monuments men and women were and what their roles were during World War II, and the truly epic achievements they had during the most destructive conflict in history,” he explained. Robert Edsel’s research has resulted in four book publications and a Hollywood film adaptation. Questions from the audience are welcome. “I’m always extremely interested in hearing questions and observations from those in the audience about the story historically, but also about what’s going on today and what their thoughts and concerns are about the future,” Edsel said. Initially driven by curiosity, Edsel spent 15 years tracking down the surviving Monuments men and women. While some of them had been interviewed before, Edsel said up until that point, the focus tended to be on the crimes of the Nazis and not the good work of the Monuments group. Edsel interviewed 20 Monuments men and women and went on to develop friendships with them. He also interviewed their family members as part of his research. The final part of the story has yet to be written, Edsel noted, with hundreds of thousands of objects still missing. The Monuments Men Foundation for the Preservation of Art, which received the National Humanities Medal from President George W. Bush in 2007, has led the effort to locate items and return them to their rightful owners. Edsel’s presentations, books and television programs have resulted in more than 100 leads now being pursued by Foundation staff. The Foundation’s high-profile discoveries include the “Hitler Albums,” four brown leather albums that the Nazis used to catalog stolen works of art, adding to the 39 albums that were already known to researchers. 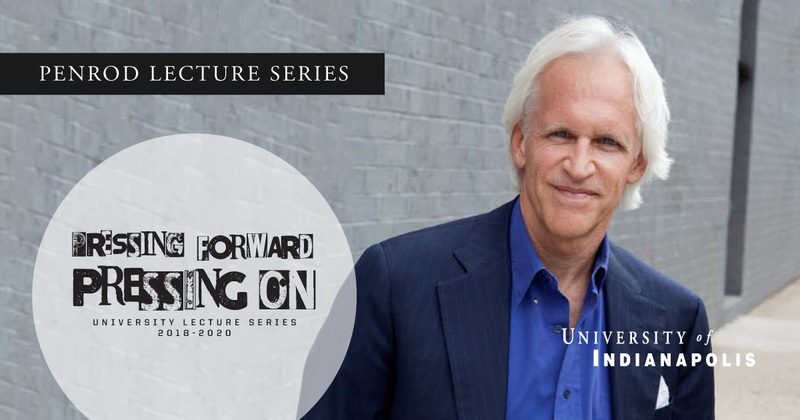 This University Series event is presented with support from the Blanche E. Penrod Lecture Series. Learn more about the Monuments Men Foundation here. 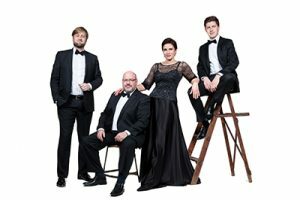 INDIANAPOLIS—The Indianapolis Quartet marks its third season in residence at the University of Indianapolis with an April 1 concert featuring the music of Joseph Haydn, César Franck and Edvard Grieg. The Quartet welcomes acclaimed guest pianist Soyeon Kate Lee for a performance of Franck’s explosive 1879 masterpiece, the Quintet for piano and strings in F minor. The program opens with Haydn’s witty “Joke” Quartet, Op. 33, No. 2, and concludes with the soaring intensity of Grieg’s String Quartet No. 1 in G minor, Op. 27. The performance is open to the public and free of charge. Guest artist Soyeon Kate Lee has been hailed by The New York Times as a pianist with “a huge, richly varied sound, a lively imagination and a firm sense of style.” Winner of the 2010 Naumburg International Competition and the 2004 Concert Artist Guild Competition, she has appeared as soloist with the Cleveland Orchestra, London Symphony Orchestra, Louisiana Philharmonic Orchestra and San Diego Symphony, among others. Recent solo recitals have taken her to Alice Tully Hall, the Kennedy Center and the Ravinia Festival. A Naxos recording artist, Ms. Lee will record a double CD of Scriabin piano works this season following the Scarlatti and Liszt albums released earlier. 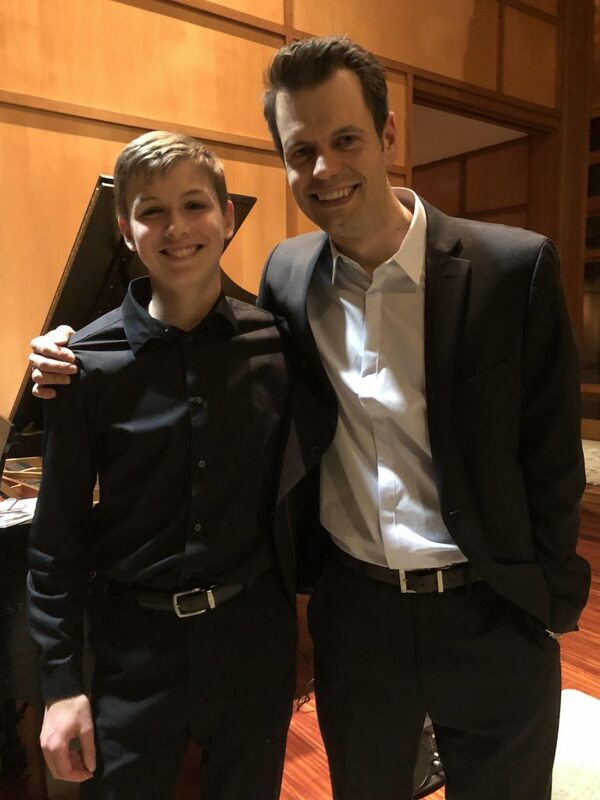 Lee is an assistant professor of piano at the Cincinnati-College Conservatory of Music. Regular collaborations with premier chamber music artists and composers, including University of Indianapolis artist-in-residence, Christel DeHaan fellow and 2017 American Pianists Awards winner Drew Petersen, pianist Orli Shaham, cellist Mark Kosower and clarinetist Todd Palmer, have afforded The Indianapolis Quartet a creative expansion of the group’s repertoire and reach to new audiences. After its Chicago debut in March 2018, the Quartet made summer festival appearances and performed live on Vermont Public Radio, broadening its scope beyond the Midwest. The current season has seen the ensemble on stages in Cincinnati, Indiana Landmarks Center, Butler University and Illinois Wesleyan University. Founded in 2016, The Indianapolis Quartet (Zachary DePue and Joana Genova, violins; Michael Isaac Strauss, viola and Austin Huntington, cello) is the ensemble-in-residence at the University of Indianapolis, reaching audiences through their unique musical language and emotional performance style. In addition to concerts, masterclasses and open rehearsals at the Christel DeHaan Fine Arts Center, The Indianapolis Quartet performs frequently throughout central Indiana, the Midwest and Vermont, exercising its mission to gradually expand its reach not only regionally, but also nationally and internationally, as it continues to build its repertoire of world-class music. The Indianapolis Quartet is grateful for support from the Christel DeHaan Family Foundation. Download a high-resolution image of The Indianapolis Quartet. Poet and essayist Elizabeth Weber will read from her work as part of the University of Indianapolis’s Kellogg Writers Series. The free event is open to the public and will be held at the University of Indianapolis campus at 7:30 p.m. on Wednesday, March 20, in Schwitzer Student Center’s Trustees Dining Room. Weber taught English at the University of Indianapolis for 23 years, retiring in May 2017. Her contributions to the University include co-founding the Kellogg Writers Series in the winter of 1995 with fellow English professor Bruce Gentry. 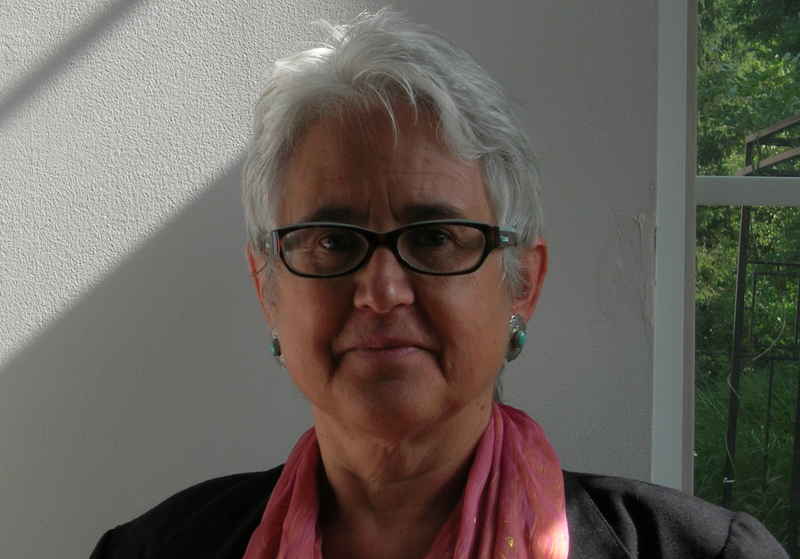 Her poetry collections include Small Mercies, The Burning House and Porthole Views: Watercolors and Poems, a collaboration with artist Hazel Stoeckeler. Her poem “City Generations” is part of the Indianapolis Cultural Trail and her essays appear in CutBank, Prairie Schooner, The Human Tradition and The Vietnam War, Montana Magazine and Consequence. Kellogg Writers Series Co-Chair Barney Haney said the event is a celebration of Weber’s writing and her dedication to UIndy students and the Indianapolis arts community. Weber looks forward to reconnecting with former UIndy colleagues. The night will be a symbolic torch-passing for the Kellogg Writers Series. For more information, contact Barney Haney at haneyb@uindy.edu. Photo from the 2017 tournament: Indianapolis 500 princess Madi Kovacs ’18 (psychology & pre-occupational therapy) presented podium medals. Special Olympics Indiana’s annual Youth State Basketball Tournament culminates during the weekend of March 23 at the University of Indianapolis. 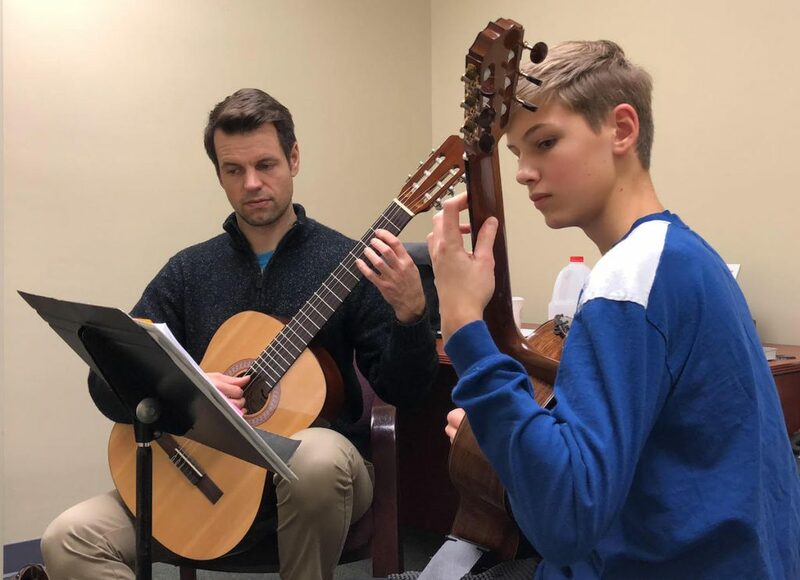 The University will host the Youth Tournament, with all events to be held in Nicoson Hall and the Ruth Lilly Fitness Center Saturday from 9 a.m. to 5 p.m., March 23, 2019. This tournament is open to the public and free of charge. Free parking is available in the parking lots surrounding Nicoson Hall. Tournament games and individual skills competitions will commence at 9:00 a.m., with additional activities for all athletes to be held throughout the day. Opening Ceremonies will be held at 12:30 p.m. in Nicoson Hall. This tournament is the only state basketball tournament offered to youth Special Olympic athletes in the entire world. This event is planned, organized and implemented by a class of dedicated University of Indianapolis students in conjunction with Special Olympics Indiana. Teams are coming from throughout the state to participate in this tournament. This event will be a great opportunity to watch some Hoosier basketball! 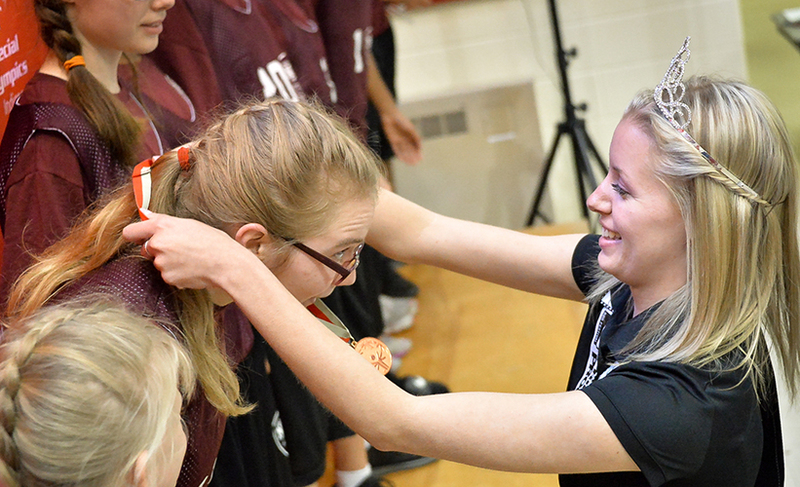 Learn more about Special Olympics Indiana and its State Basketball Tournament by visiting www.soindiana.org. 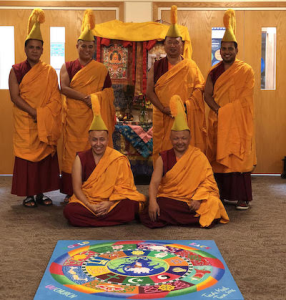 The University of Indianapolis Office of Ecumenical & Interfaith Programs welcomes Tibetan Buddhist monks from the Labrang Tashikyil Monastery in Dehra Dun, India, for five days of cultural and religious engagement on campus. From March 20–25, 2019, the monks will host a series of workshops including “A Course in Happiness” and classes in yoga, art and cooking. They will also build a sand mandala on the first floor of Krannert Memorial Library, devoting nine hours each day during their visit to this sacred ritual. The group is touring the United States and the University of Indianapolis is their only stop in central Indiana. All events are free and open to the public with advance registration. Visit uindy.edu/buddhistmonksvisit for more details. Zachary Terry ’20 (sport management) was a merchandise and facilities intern for the Indiana Pacers in spring 2018. The business of sport is a hot field right now. From college athletics to minor league sports to the top of the professional ranks, well-educated and dedicated people are needed to make America’s pastimes happen. The University of Indianapolis Master of Science in Sport Management (MSSM) program has created the first Indy Sport Business Conference (ISBC), an event that “will help attendees understand what it takes to successfully enter the field and how to prepare for that first job,” said Jennifer Van Sickle, University of Indianapolis director of sport management. The first annual ISBC will be held on April 1, 2019, at Bankers Life Fieldhouse, from 9:30 a.m. to 3:00 p.m.
Van Sickle said the central purpose of the event is to connect current sport management majors with industry professionals to assist in career development and ready them for entrance into the industry. “Our programming is built around that goal,” Van Sickle said. Students in the UIndy MSSM program worked to outline the conference programming. Logistics are being handled by Van Sickle and MSSM graduate student Jacob Springer. Conference panelists will include representatives from professional sports, collegiate athletics, and other sport industries. A line-up of speakers will be announced soon. Time for networking is built in after each panel session. The day also provides an opportunity for students to showcase a project or research completed during the academic year. Those projects can be a starting point for discussion with the sport industry professionals participating in the conference. The $40 registration fee includes all of the day’s educational sessions, a networking lunch, and a tour of Bankers Life Fieldhouse. 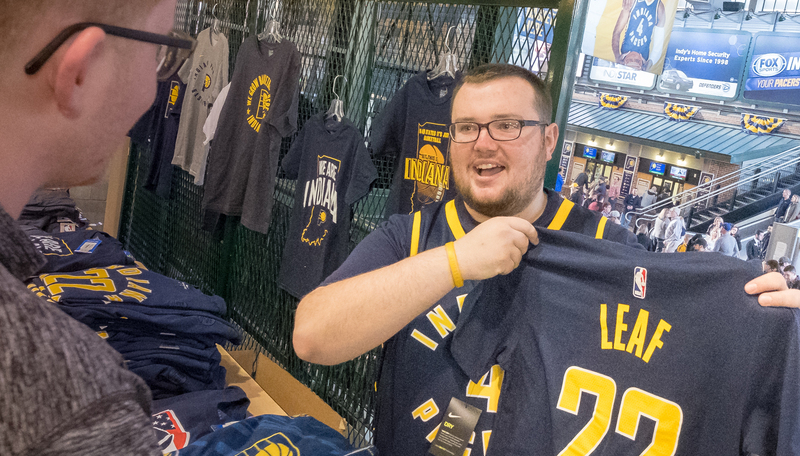 In addition, the first 50 registrants will receive a free ticket to the Indiana Pacers versus Detroit Pistons game that night. Those who don’t register in time for the free tickets can purchase reduced-priced game tickets. The conference is open to students from any university who are interested in sports business. Registration must be made in advance; no registrations will be taken at the door. The deadline to register is March 20. Register here. “We are really excited about this opportunity and hope it’s the first of many conferences to come,” Van Sickle said. For more information, contact Dr. Van Sickle at jvansickle@uindy.edu or Jacob Springer at jspringer@uindy.edu. Leaders from five south-central Indiana cities will discuss ways to forge the future through economic development at the inaugural Southside Business Summit on Wednesday, March 13, 2019, at the University of Indianapolis. The first-of-its-kind summit brings together municipal leaders and business owners to explore possibilities for economic growth within the geographical area from south of Washington St. in Indianapolis to Franklin, Ind. University of Indianapolis President Robert L. Manuel and Independent Colleges of Indiana President and CEO David W. Wantz will provide remarks, followed by a panel discussion. Indianapolis Mayor Joe Hogsett, Franklin Mayor Steve Barnett, Beech Grove Mayor Dennis Buckley, Southport Mayor Russell McClure and Kevin Steinmetz, capital projects manager for the Office of the Mayor of Greenwood, will participate in the discussion moderated by Angela Smith-Jones, deputy mayor for economic development for the City of Indianapolis. The event, hosted by the University of Indianapolis, is open to the public for a $5 registration fee, with proceeds donated to Gleaners Food Bank. With more than 25,000 vehicles traveling on Madison Ave. and nearly 15,000 using Shelby St. through South Indy each weekday, Michelle Strahl Salinas, director for South Indy Quality of Life Plan, said the time is right to advocate for improvements in business corridors. “Through the Southside Business Summit, we hope to network with other like-minded communities and have a stronger voice in bringing infrastructure and business opportunities to the Southside. By bringing together business and property owners, SoIndy has begun the process of sharing resources for small business development and improvements,” Salinas said. “It’s an exciting time. As construction of the IndyGo Red Line creates opportunities for economic development and connectivity, the Southside Business Summit provides a forum for thoughtful discussion,” said Corey Wilson, special advisor to the president for external affairs at the University of Indianapolis. Robin Heldman, president of Direct Connect Printing, said the discussion is critical to addressing issues facing Southside businesses. “One of the struggles for this business sector is the decision to continue operations as they are or expand the goods and services to build more capacity. My hope is this event will lend insight to business owners as to the direction the city leaders are taking in this area,” Heldman said. The Southside Business Summit is presented by the University of Indianapolis, South Indy Quality of Life, Direct Connect Printing & Digital Services, the Greater Southside Business Alliance, the Greater Beech Grove Chamber of Commerce, the Greater Greenwood Chamber, the Fountain Square Cultural District and the West Side Chamber of Commerce of Indianapolis. Register here for the Southside Business Summit.